Reaching your customer in an efficient way is the most important challenge in developing a media strategy. 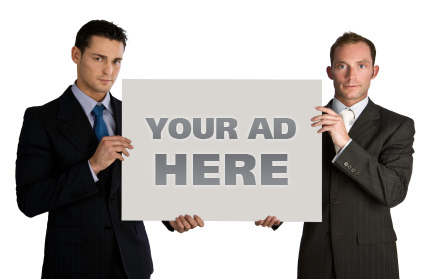 Adsparent offers “Direct Response” and “High Profile Brand Exposure”. Our team of specialists will create a media strategy that fits your needs, keeping a close eye on your campaign goal. Our focus is on maximizing ROI (Return on Investment) everyday. The first thing we need to know is your company’s objective, e.g. generate traffic, enhance brand recognition, increase sales or generate contacts.Branding:For those companies who seek brand recognition & reliability. If you want to position your brand in the public’s mind, you’ll need a branding campaign. Traffic generation with a CPC campaign:For those companies who seek to receive many visitors in their site in a very short term. With this type of campaign you’ll pay for every person that clicks in your banner. With our easy reporting system you’ll be able to analyze CTR efficiency and adjust them if necessary. User contacts (Cost per Lead):For those companies who seek new users or subscriptions to be used within CRM. This type of campaign is valuable because you will be getting real contacts and interested users. Our measurement and reporting system allows you to analyze CTR efficiency and origin of users. Generate sales (Cost per Acquisition):For those companies who seek to sell products. This is the safest campaign because you’ll pay every time a product is sold. With our simple measurement and reporting system you’ll be able to follow the campaign and detect the origin of your transactional users. Video advertising:The Video Ad is one of the fastest growing online models nowadays. Is the best way to communicate with the generation that is migrating from the television. Social Media campaigns:For those companies who seek to increase their visibility in the net, improve search engine positioning, increase traffic and promote a community around your brand. We develop campaigns in Facebook, Twitter, Foursquare, Orkut, YouTube, LinkedIn. SEM:The Search Engine Marketing is an active marketing strategy which allows segmentation of the online users volume and reorientation of their search according to the client’s objectives. Within this strategy there are two options: using search engine campaigns and / or contextual advertising. Both are means of attaining branding strategies as well as performance, measuring their results in real-time. Mobile:Campaigns based on mobile advertising can effectively reach your target audience at any time and place, giving as a result an excellent CTR. It offers multiple modes of interaction such as downloads, actions of direct contact or display / text banner. © Copyright Adsparent 2018 | All rights reserved.